In recent years, Grand Canyon weddings have gained an immense amount of popularity. The national park offers numerous indoor and outdoor regions for weddings and the receptions associated with these life-changing events. In order to exchange vows within the National Grand Canyon, you must first start by obtaining a marriage license for the State of Arizona. Immediately thereafter, you must get a Special Use Permit from the national park. Once you have completed these two steps, you must then arrange for a qualified individual to perform the ceremony. Options for these individuals include a Justice of the Peace, an ordained member of clergy, or a Municipal Judge. 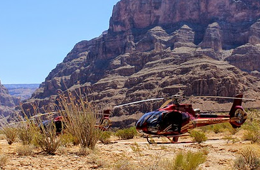 If you have an interest in being one of the many people that take part in Grand Canyon weddings this year, continue reading for valuable information that will assist in the endeavor. 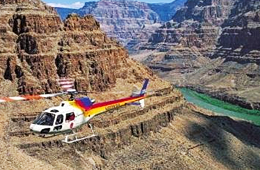 Everyone who desires to have one of the many Grand Canyon weddings that take place in the national park each year must obtain a Special Use Permit for the event. 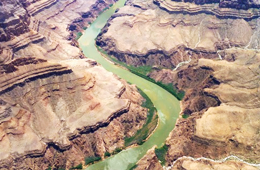 The National Grand Canyon does charge a fee for this permit that is non-refundable. The national park creates the fee based on the costs associated with the recovery after the wedding. If you want to obtain this permit, you should contact the Grand Canyon National Park by calling the Concessions Management Office at: 928-638-7707. If you prefer to exchange vows indoors, there are a couple different locations you may choose from for your wedding. The first location is the Shrine of the Ages, located on the South Rim. This includes an auditorium that has 280 seats and a small room that holds approximately 60 people. The Grand Canyon region of the North Rim offers absolutely no indoor locations that are appropriate for Grand Canyon weddings. In addition to on-site locations, there are park lodges that will allow you to get married indoors. These include Xanterra Parks and Resorts and Delaware North Companies Parks & Resorts. Grand Canyon weddings are absolutely beautiful. Not only are you surrounded by a natural backdrop of exquisite beauty, but, are also surrounded by many amazing creatures that live in and around the National Grand Canyon. Once you have obtained your marriage license, your Special Use Permit, the individual that will perform the ceremony, and have determined a location for the special event, you should consider arriving to your special day in a helicopter. Not only will you get an aerial view of one of the most majestic locations on Earth, but, you will also observe the location where you will make a lifelong commitment to your significant other. Grand Canyon weddings provide lifelong memories that will be cherished in the hearts of all of those that attend and take part in the special event.